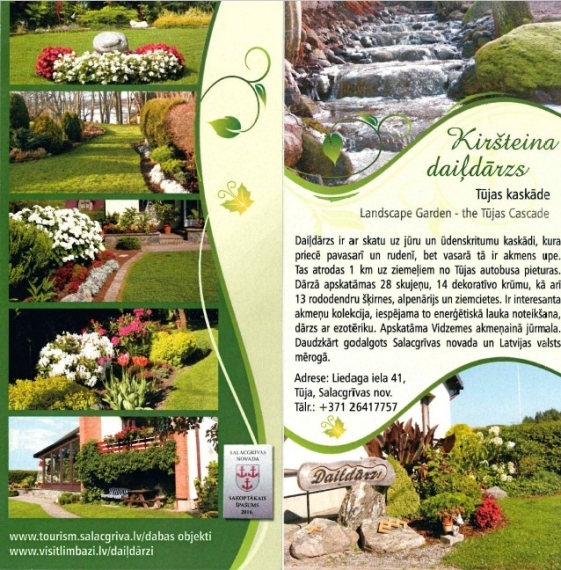 In the designing of the garden advice was asked from the landscape-gardener Zenta Skrastiņa from Burtnieki, but the original project was quite modified, almost refusing from the vegetable garden. Right beside calmly waves the sea. 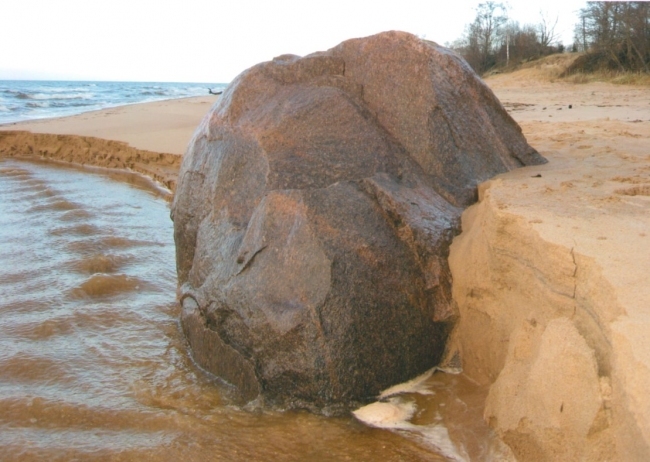 The owner is excited by the gray-blue stone giants, which thousands of years ago have been brought from Scandinavia by a glacier. 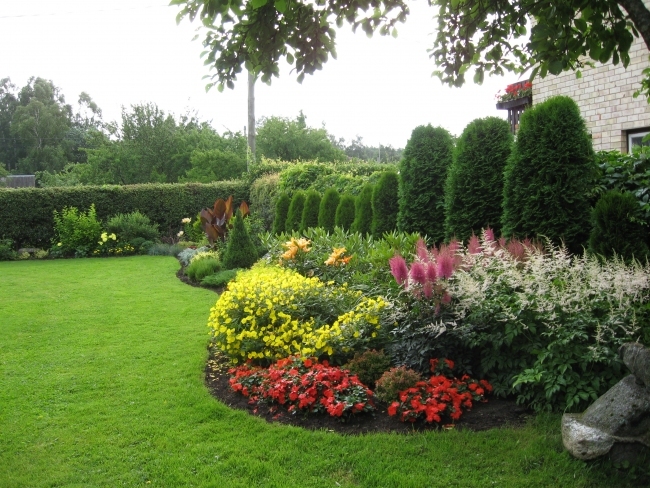 The area of the garden was standard 1200 m2, later a 400 m2 big arm was bought, which leads to the sea. 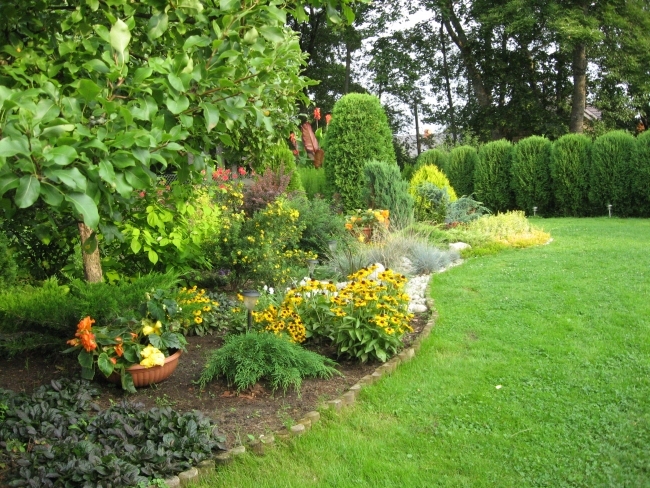 This part of the garden delights the owner most. 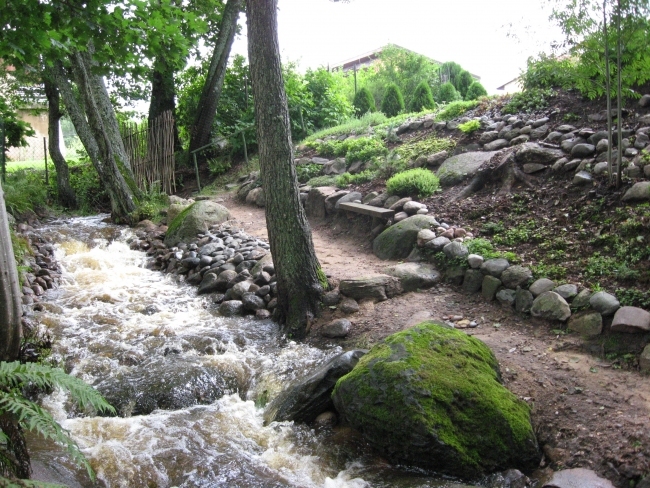 It is a natural ravine, at the house it is 4 m, but on the seaside - already 8 m deep. 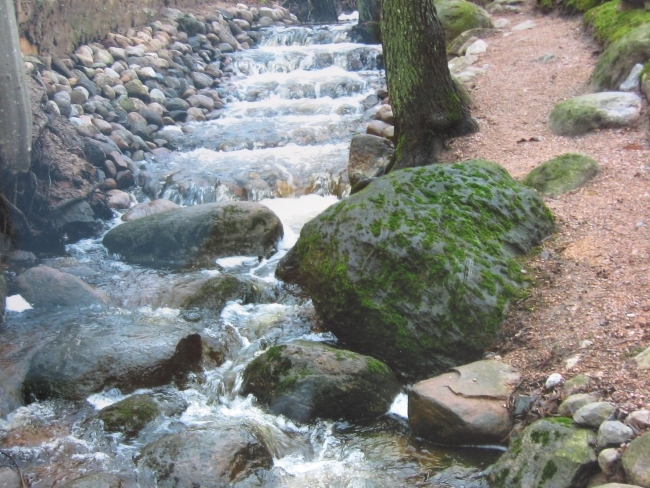 The accurately urban garden had gained a piece of wild nature, where the owner made six cascades. In the middle of May in the ravine purled a little stream, but in early spring and rain it transforms into a real river. 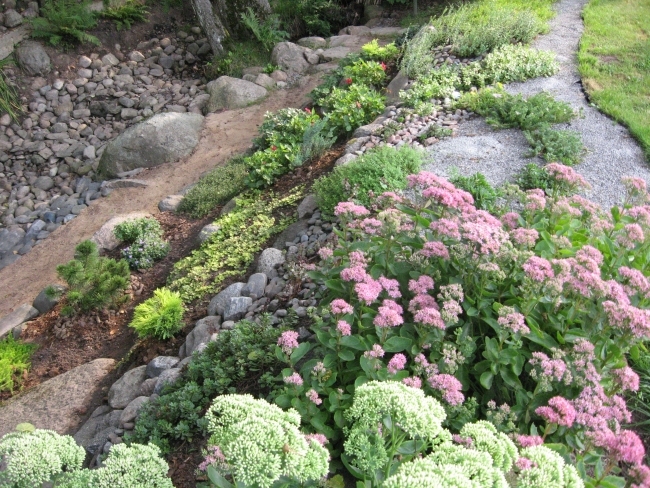 The slopes are reinforced with stones, appropriate plants have been planted. In a sunny corner there is a collection of stone crops, jovibarba's and euphorbias, but in the shadows of the trees the slope is covered with moss. Together with it there are forest plants - yellow woodsorrel, blue anemones, even yellow anemones. 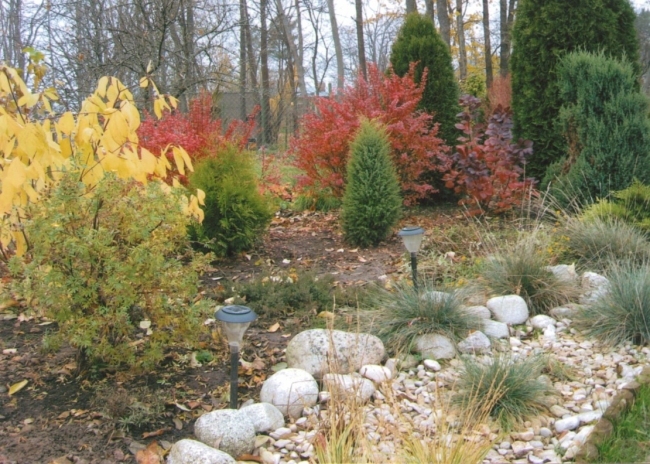 In each season the garden has its beauty. In the spring through the sparse green of the trees flashes the white foam backs of the sea waves. Most showy the garden is in the middle of the summer, when the many dhalias bloom, but the big red-leafed cannas have reached the height of 2,5 m. In the autumn the maple leafage creates a golden brilliance. Even rain showers, which wraps other gardens into a gray water veil, are welcomed in the Kiršteini garden - they start the water cascade! ‍Ojārs Kiršteins fancies crimson tones. 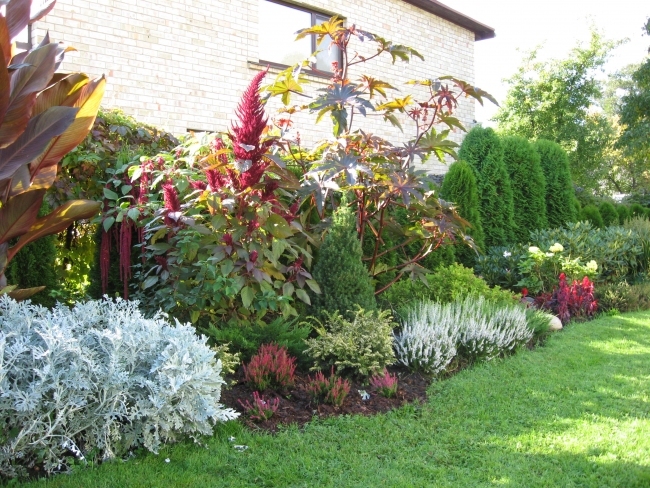 Those are brought in the garden by the red-leafed cannas, castor oil plants, dhalias. A linden has been bought with dark-pink leaves and pink flowers. ‍The crimson tones are highlighted by yeallow - barberries with yellow leaves, decorative junipers with golden needle ends, brilliantly splendid dhalias ''Yellow Happiness'' with lemon-yellow flowers, as well as the sunny yellow walls of the house. ‍In shady places the rhododendrons feel good. 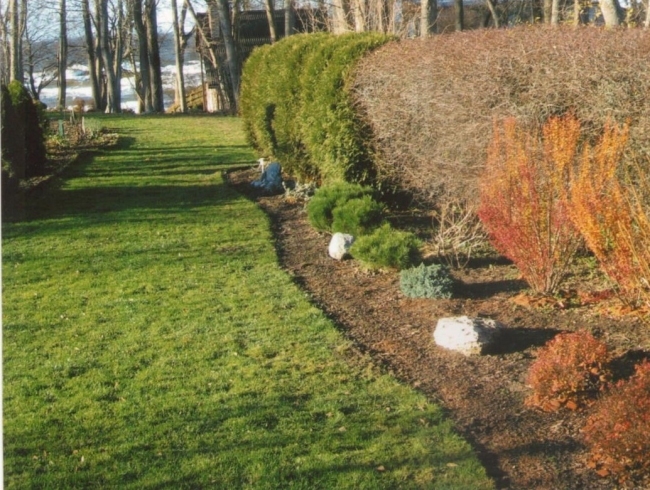 Next to them are growing decorative junipers, which also need acidic soil. 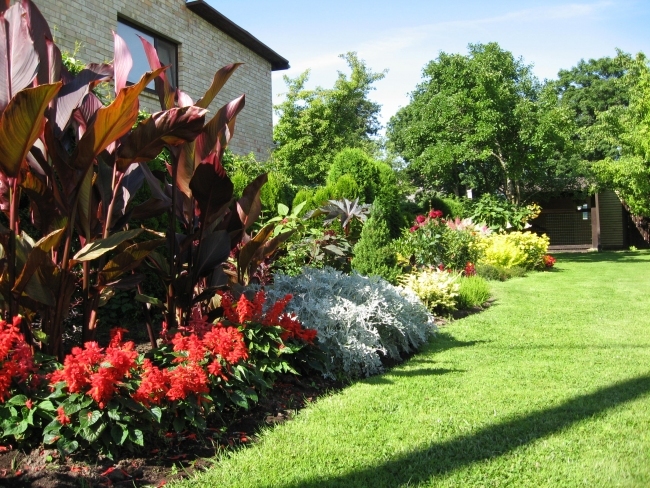 The company is complemented by the owner-beloved astilbes, who also need humid and acidic soil. By the house entry on the eastern side nicely looks the Japan corner - a couple of rhododendrons together with interesting stones and ferns. 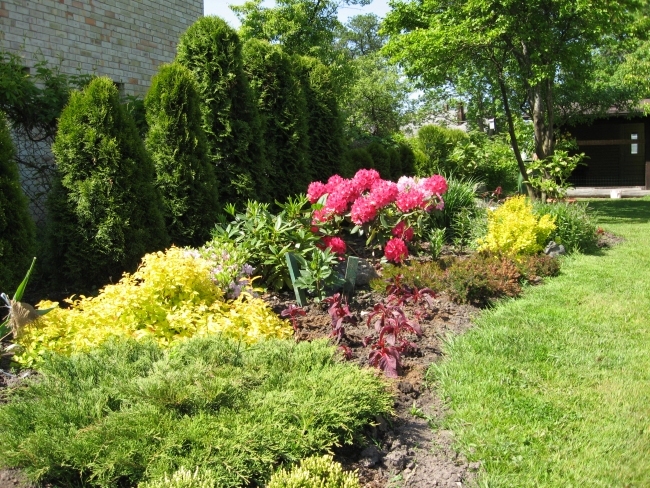 ‍In the sun at the bright southern wall of the house brightly golden bloom the euphorbias and the early peonies. 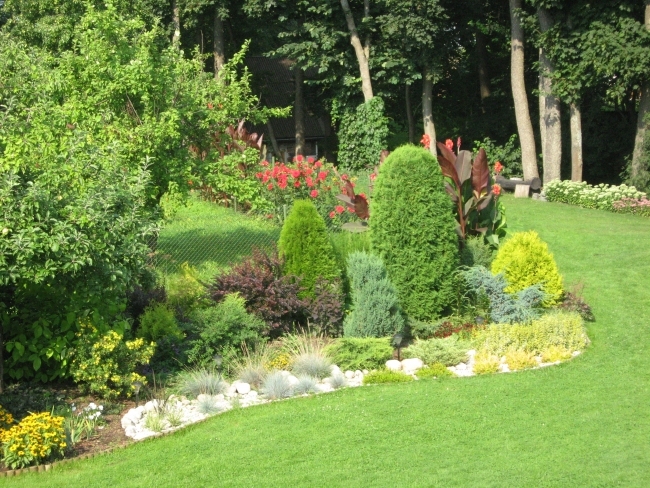 ‍In the garden 27 pine family, 10 juniper and 7 cedar species can be viewed, as well as 14 species of decorative shrubs. 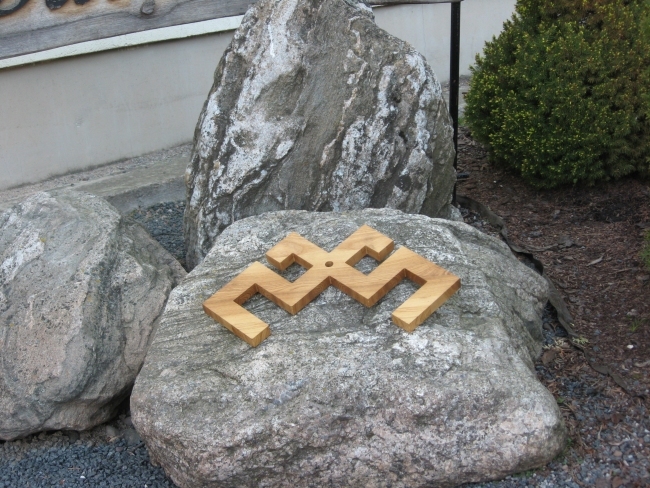 It is possible to view the stone collection. 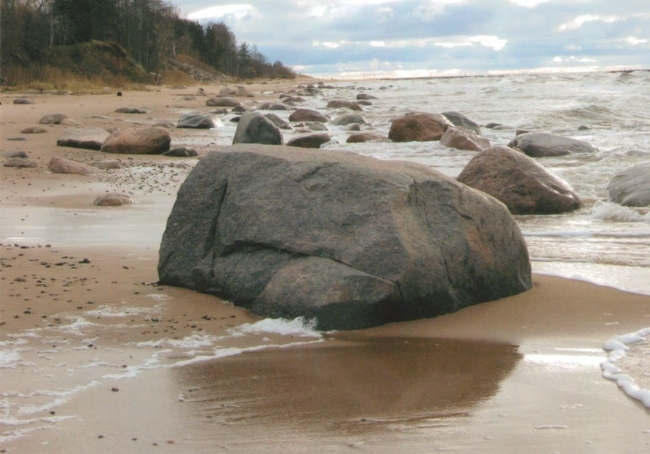 An excursion on he Vidzeme rocky seaside is available.